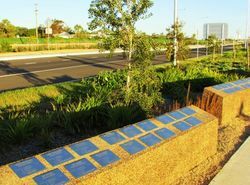 A monument commemorates those from the Moree District who served in World War One. 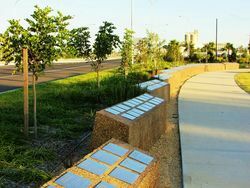 This memorial is a place to honour and remember the sacrifice of all men and women from the Moree region who fought and died in World War I. In February 1916, local men enlisted to fight for `King and Country`. 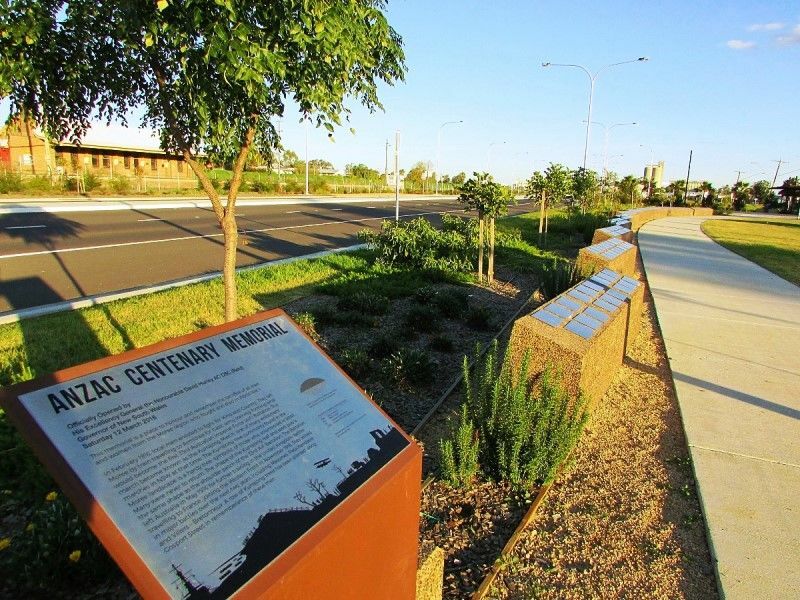 They left Moree by train travelling to Armidale for basic army training, forming what would become the first 33rd Australian Imperial Force (AIF) Battalion. 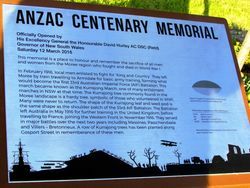 This march became known as the Kurrajong March, one of the many enlistment marches in NSW at that time. 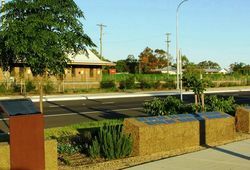 The Kurrajong tree commonly found in the Moree landscape is a hardy tree, symbolic of those who volunteered in WWI. Many were never to return. The shape of the Kurrajong leaf and seed pod is the same shape as the shoulder patch of the 33rd AIF Battalion. 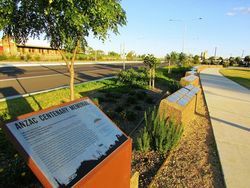 The Battalion left Australia in May 1915 for further training in the United Kingdom, before travelling to France, joining the Western Front in November 1916. They served in major battles over the next two years including Messines, Passchendaele and Villers - Bretonneux. 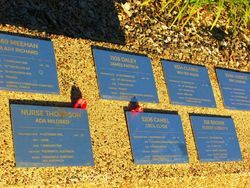 A row of Kurrajong trees has been planted along Gosport Street in rememberance of these men.